Tokyo Nexus: Please briefly discuss your background and how you ended up as the only non-Japanese tenured full professor at Waseda Business School. KG: Briefly, I started out as a Japanese medievalist at Princeton and Harvard. The job market was terrible, so I enrolled in an intensive program at Harvard Business School to reorient PhDs, of which there was a glut at the end of the ‘70s, to go into business. Ultimately, I went down to New York and knocked on doors and got a job on Wall Street, initially in a bank training program and then in a securities firm doing mergers and acquisitions. I did that for a couple of years. Then I left and I started my own consultancy, Orient West Consultants. I had a number of clients, such as Business Week and Metropolitan Life Insurance Company, and several others. At Citibank, my team and I developed a flank attack marketing strategy. There was no way we could compete directly with the large Japanese banks, so we competed by doing things they wouldn’t or couldn’t do. Two years later, Citibank came to me and told me they did not want me as a consultant, but rather in-house as Chief of Strategy for consumer banking in the Asia Pacific region. Citi wanted to break into the Japanese market with consumer banking and asked me to direct the strategic planning process there and in nine other APAC countries. So in 1985, I ended up back in Japan. At Citibank, my team and I developed a flank attack marketing strategy. We were, to speak, a pimple on the elephant’s behind; there was no way we could compete directly with the large Japanese banks, so we competed by doing things they wouldn’t or couldn’t do. That strategy, which my team and I formulated, was then implemented very effectively by a new Japanese head of Citibank recruited in 1987. 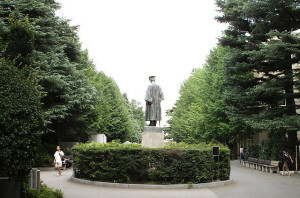 Waseda University, where Dr. Grossberg is a Professor of Marketing. Tokyo Nexus: After Citibank Japan, what was your next step? KG: The next step was actually to rotate back to New York City and reestablish my consultancy. But then it turned out that Yeshiva University in New York had received a large grant to establish a business school. They hired me to set up the marketing program there, and I stayed for four years. I then won a Fulbright visiting research professorship to go to Tel Aviv University, and so I moved to Israel with my family in 1992. You may recall that was the beginning of the Oslo Process, a very exciting time to be there. We ended up staying in Israel for nine years, until 2001, when I was invited by Waseda University to be a tenured professor in their new international MBA program. That’s what brought me back to Japan. As you pointed out, I am still the only non-Japanese tenured full professor in this program. Tokyo Nexus: The Waseda Marketing Forum organizes a number of business and networking activities. Did you create the Waseda Marketing Forum yourself? KG: Yes. I started the Marketing Forum not long after I arrived at Waseda. I quickly realized that many of my students, who are not Japanese but come from many different countries, are extremely talented and wanted to stay in Japan after they got their MBAs, but there was no mechanism to help them get internships or jobs here. Since most of them knew Japanese and deserved to find opportunities I wanted to help them, because I believe that the future belongs to these third-culture people who make the effort to become multilingual and multicultural. So I set up the Marketing Forum to bring speakers from the business world to the campus to give talks in English that our students could understand and to provide them with a place where they could make useful contacts to further their careers here. The Marketing Forum has become probably the premier institution of its sort in Tokyo. Our slogan says it all: exploring new trends with those who create them. Some years were harder than others. 2008, when the stock market crashed, and 2011, after the great Tohoku earthquake, for example. But we survived, and we never missed a date to have a program. The Marketing Forum has become probably the premier institution of its sort in Tokyo. Our slogan says it all: exploring new trends with those who create them. Our speakers always contribute something value-added to our understanding of marketing and strategy. Our audience is a sophisticated mix of students and business professionals, and we nurture an atmosphere that is informal but very dynamic. Having established the Marketing Forum is probably the thing I’m most proud of after coming back to Japan. Tokyo Nexus: Can you discuss in general terms the types of professional projects you’re engaged in? KG: I’m a contributing editor to the Strategy and Leadership journal. In my consulting work, I’ve been drawn more and more into a circle of major clients that are in the B2B area. Of course I can’t mention clients names, but generally my consulting is focused on strategic marketing: creating and critiquing corporate strategies and training corporate leaders of promise. Tokyo Nexus: So you have one foot still in the practitioner’s world? As a result of Dr. Grossberg’s “build not buy” strategy, Citibank locations can now be found throughout Tokyo. KG: I would say that both of my feet are in the practitioner’s world, which is ironic given that I started out as a scholar of medieval Japan, which is about as esoteric as you can get! Tokyo Nexus: Let’s talk about the nuts and bolts of market entry in Japan. Can you touch on the specifics of your strategy to bring Citibank into Japan’s consumer banking market? KG: I always believe you have to start with the environment. This was 1985 to 1988. It was the pre-bubble era but it was also a time when it was basically impossible to contemplate a merger with or acquisition of a Japanese banking institution. And here we are, a foreign bank with two branches, trying to compete with Japanese banks that had between 50 and 100 branches each in Tokyo alone, and were actually national organizations. And on top of that, we were only permitted to open two new branches per year. We wanted to make a big splash and the way to do that would have been to acquire a bank in Japan. In that era in particular and for someone in our position, there were no banks worthy of acquiring. But it was a major strategic deliverable of Citi’s chairman, and because I was hired in part due to my experience in mergers and acquisitions, that was something I had to look into. At the same time, I let my team know that we were going to build not buy, because ultimately that was going to be the strategy that would succeed. Even though we could only build two branches a year, if we simultaneously adopted this “flank attach” strategy in a number of different areas, we could succeed. Tokyo Nexus: In what specific areas did you implement the flanking strategy? KG: First, one of the things that I felt was most important was to increase the scale of our distribution because nobody wants to open a bank account at a bank that only has two branches. That’s not convenient. I led the negotiation with Dai-Ichi Kangyo Bank – a predecessor of Mizuho Financial Group which at that time had the largest number of branches in Tokyo. The goal was to allow our bank card holders to get cash out of Dai-Ichi Kangyo Bank ATMs. Of course there would be a transfer fee but it would give Citibank customers a level of access and convenience that we could not provide through our branches alone. We launched the first yen credit card ever issued by a non-Japanese bank in Japan. MasterCard gave us access to a much broader market. Second, we launched the first yen credit card ever issued by a non-Japanese bank in Japan. Our first card was a MasterCard. Citibank already owned the Diners Club franchise. Diners Club is not a credit card; it’s a charge card like American Express. Diners Club had a very high profile and was considered a very elite plastic, so MasterCard gave us access to a much broader market. Citibank consumer banking never targeted the mass market, but more accurately what we refer to as “mass affluent.” Citibank had a private banking unit which catered to very high net-worth customers. One of the arguments I made, which was proven to be correct by research conducted after I left Citibank, was that one of our core target markets should be the expatriate business community in Japan. There were many expats in Tokyo in the mid-1980s because Tokyo was booming. They were an important source of deposits to Citi and were relatively easy to satisfy because no one else in Japan was giving them the type of service they needed. We worked to build credibility as a foreign bank. For example, we hosted a special anniversary event to emphasize that we had been doing business as bank in Japan since 1902. This promotion got some exposure in the media and made us seem less “foreign” to the Japanese clientele we were targeting. Third, we focused on foreign currency. Citibank had a lot of experience offering foreign currency accounts, which at that time could offer higher interest rates than yen-based accounts. We promoted these accounts and then our wrist was slapped by the Ministry of Finance, which felt we did not sufficiently make clear to the public that there is a currency risk if you put your money in a foreign currency account. So we redesigned our ads, added the disclaimers, and continued to market foreign currency accounts. Fourth, we worked to build credibility as a foreign bank. For example, we hosted a special anniversary event to emphasize that we had been doing business as bank in Japan since 1902. The main branch in Otemachi was fixed up with a rickshaw. The staff in the bank wore Meiji-era kimono and costumes, and branch customers were encouraged to take souvenir photographs of themselves with one of our staff in front of the rickshaw. This promotion got some exposure in the media and made us seem less “foreign” to the Japanese clientele we were targeting. Those were some of the core elements of the flank attack. Tokyo Nexus: Can you speak a bit more about building credibility as part of your marketing strategy? Tradition and age are very important in Japan. Many people view foreign financial institutions with skepticism. KG: Tradition and age are very important in Japan. Especially when their own money is concerned, many people view foreign financial institutions with skepticism. So even though this was a boom time and Citibank had a very good reputation among those Japanese who had lived or done business abroad, most Japanese still felt safer leaving their money in old-fashioned Japanese banks. Tokyo Nexus: You formulated and implemented these strategies. What was the result? KG: It worked enormously well. In fact, Citibank continued to implement our strategy of adding branches for a long time. 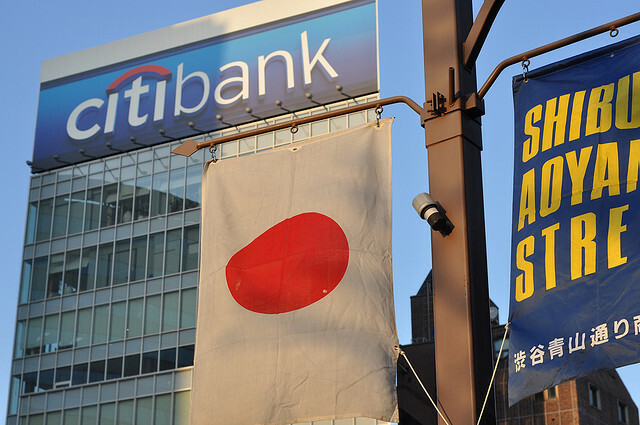 The result is that now Citibank has branches in most of the areas in Tokyo where there are a sufficient number of affluent or international potential customers. Tokyo Nexus: Let’s move to the present day. Say you have an American company that operates a consumer business and wants to enter the Japanese market. Of course we’re speaking in general terms, but what are your key pieces of advice for this kind of company? KG: The question is general and of necessity my answer must be generic because it really does depend on the product or service you’re trying to market. That said, I always advise clients that the “three times rule” dominates business in Japan: everything costs three times as much as doing the same thing elsewhere, and it takes three times as long to accomplish. I think that still holds true in certain industries in Japan, though perhaps not to the extreme extent that was the case before the bubble burst. I always advise clients that the “three times rule” dominates business in Japan: everything costs three times as much as doing the same thing elsewhere, and it takes three times as long to accomplish. I think that still holds true in certain industries in Japan, though perhaps not to the extreme extent that was the case before the bubble burst. Certainly some of our line managers at Citibank who had started consumer banking businesses in other parts of East Asia, came to Japan thinking it was simply “another East Asian culture” and would be easy to crack. They found that it was like swimming through mud. So patience and perseverance was important then, and it’s still important now when you enter this market. Wal-Mart completed its acquisition of Seiyu in 2008. 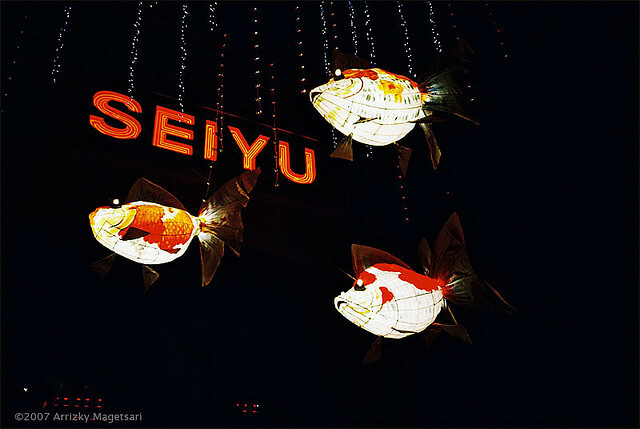 Even a large player like Wal-Mart, which acquired Seiyu, found that the “three times rule” applied. It costs three times as much, it takes three times as long, and you never do as well as you think you are going to or, indeed, as well as you deserve to. Generally speaking, if you’re coming into this market, you probably should think of using a flank attack rather than a direct attack because most likely you won’t own the distribution and you do not have immediate credibility with the public. That has to be built over time. The market is simply idiosyncratic for many, many consumer goods. The very fact that Japanese now have credit cards in their wallets (certainly more than in the past) but still continue to pay for most things using cash tells you that there is a mindset here which is quite different from what people are used to in the West. Tokyo Nexus: How should a company entering the Japanese market go about building their Japan operations team? You always need to have Japanese people on your team, but you also need foreigners who are fluent in Japanese because they are the yeast in the dough. They are the ones who buffer the two business cultures. KG: Well, my prejudice is this: you always need to have Japanese people on your team, but you also need foreigners who are fluent in Japanese because they are the yeast in the dough. They are the ones who buffer the two business cultures. They are the ones who understand Japan but also know that sometimes you must break the rules. And it’s when you break the rules that you often can succeed in Japan. But you have to break the rules in an inoffensive way, which the right Japanese-fluent foreigners will know how to do. KG: Here’s a counterfactual. I think that Wal-Mart would have been much more successful in the beginning if they immediately started stocking Seiyu stores with lots of American merchandise. It’s true that most Japanese consumers are not adventuresome in their tastes, but did Wal-Mart want to compete with every other supermarket in the city or instead offer something unique? When I go to the local Seiyu, I like that you can get imported blueberries and grapes at an affordable price, which you cannot get at almost any other store in the city. 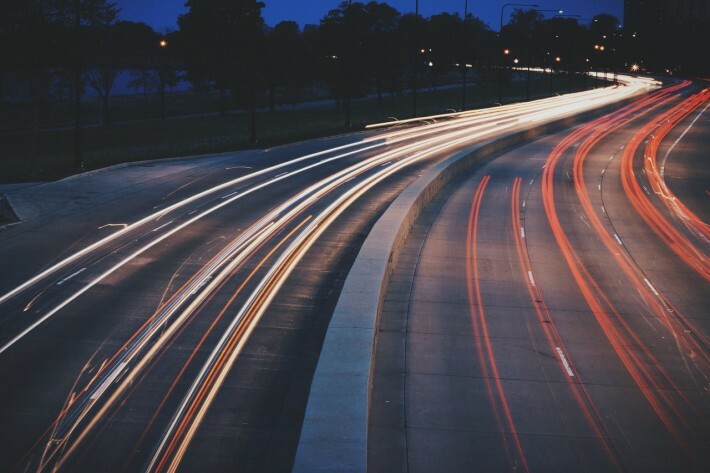 What is competitive advantage all about? It’s about differentiation. True, you have to adapt to the culture, and if you’re a supermarket, you adapt to the food culture. But there’s also such a thing as adaptation which is unnecessary and counter-productive. And that’s when you should break the rules. True, you have to adapt to the culture, and if you’re a supermarket, you adapt to the food culture. But there’s also such a thing as adaptation which is unnecessary and counter-productive. And that’s when you should break the rules. Another example – which is cultural rather than strategic. When you read all the how-to books, and listen to all the gurus and consultants, they all advise that you must drink socially to break the ice. I happen not to be a heavy drinker, and I found that if you’re pleasantly relaxed when you go out drinking with Japanese business colleagues, you don’t have to drink as much as they do. And people don’t resent the fact that I’m not drinking as much as they are as long as I act like I’ve been drinking enough to fit the mood of the group. 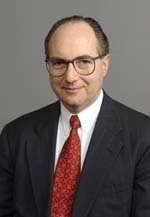 Continue to part two of our interview with Dr. Grossberg.